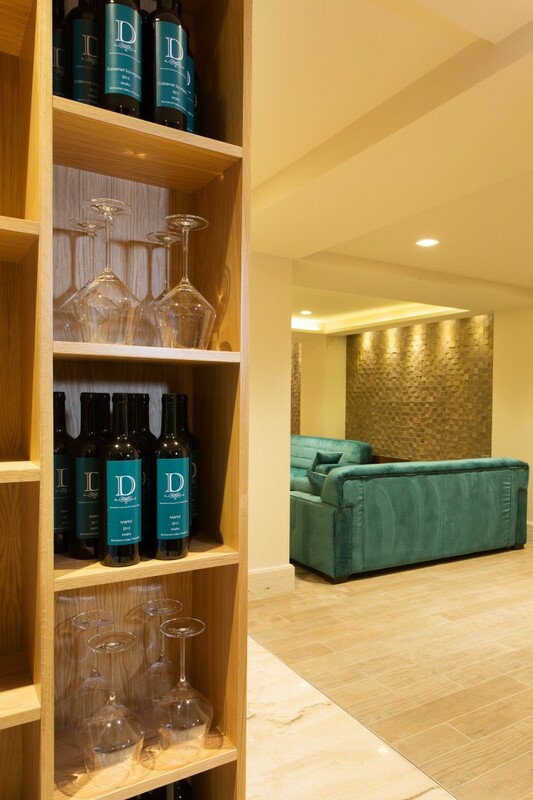 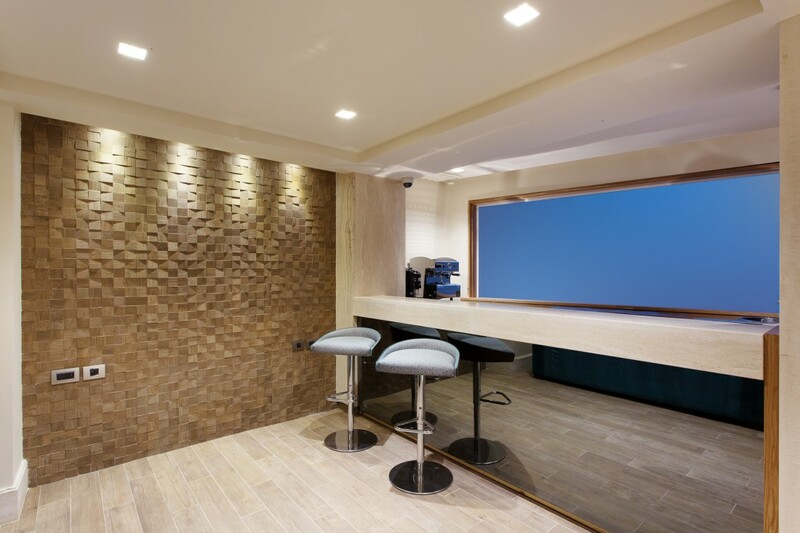 Upon entering Ddream Hotel, you will feel the relaxing atmosphere of our lobby bar, with its glass masterpiece custom-made by a well renowned local artist, where you can sit indoors or unwind out on the terrace to enjoy a drink and a good read from our wide range of wines and books from our small library. 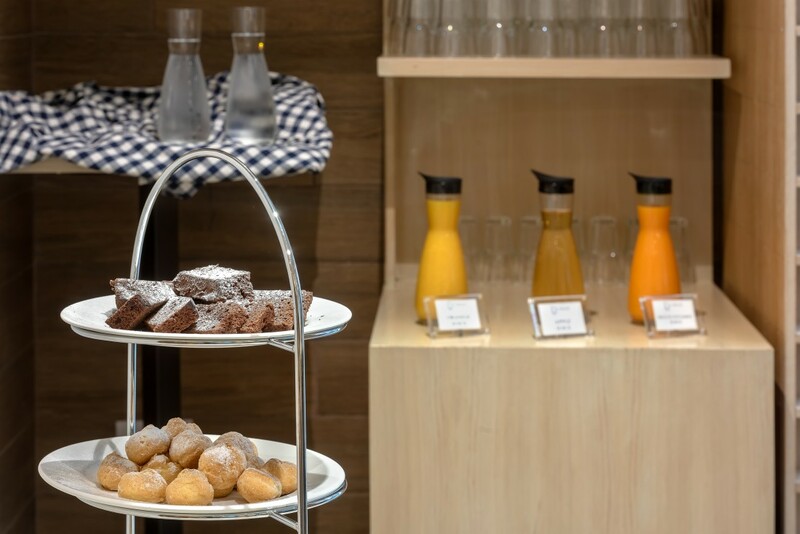 Our welcoming team are available both at the lobby and bar 24/7 to assist in any request, and a limited drinks menu is available for room service. 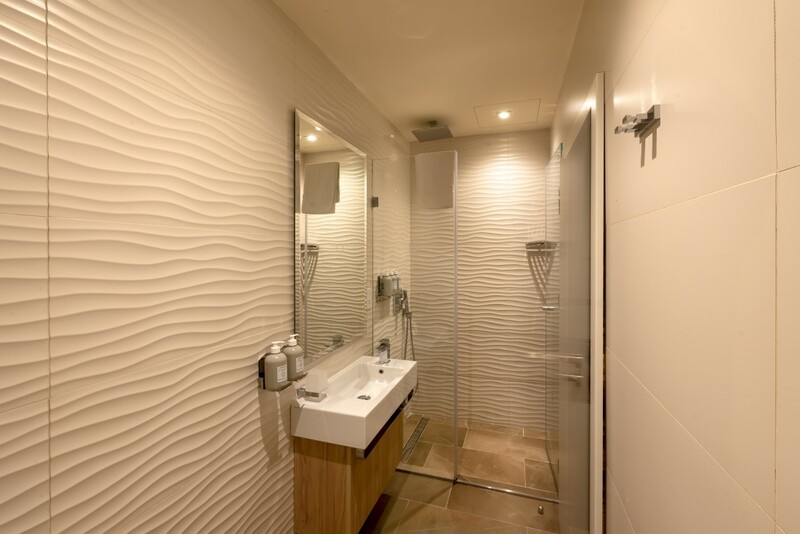 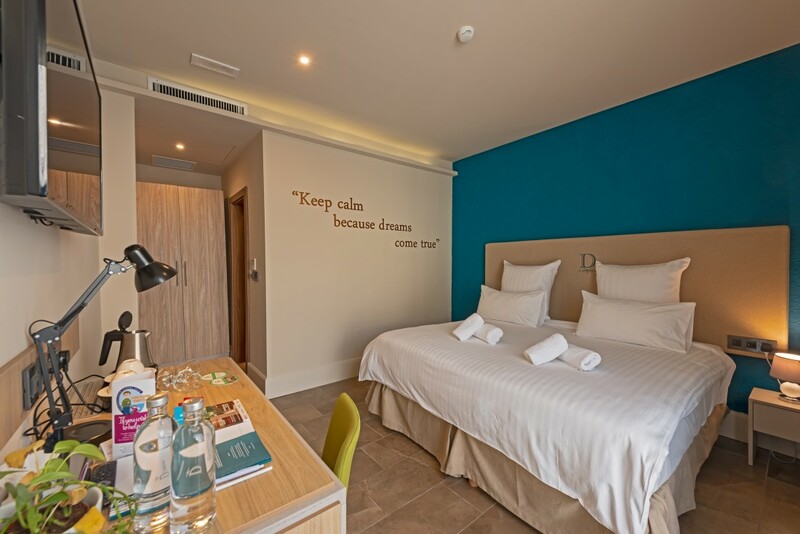 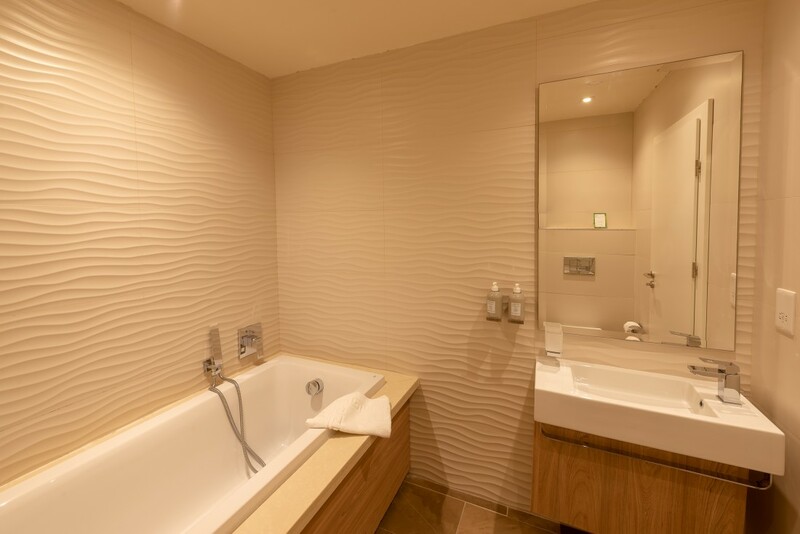 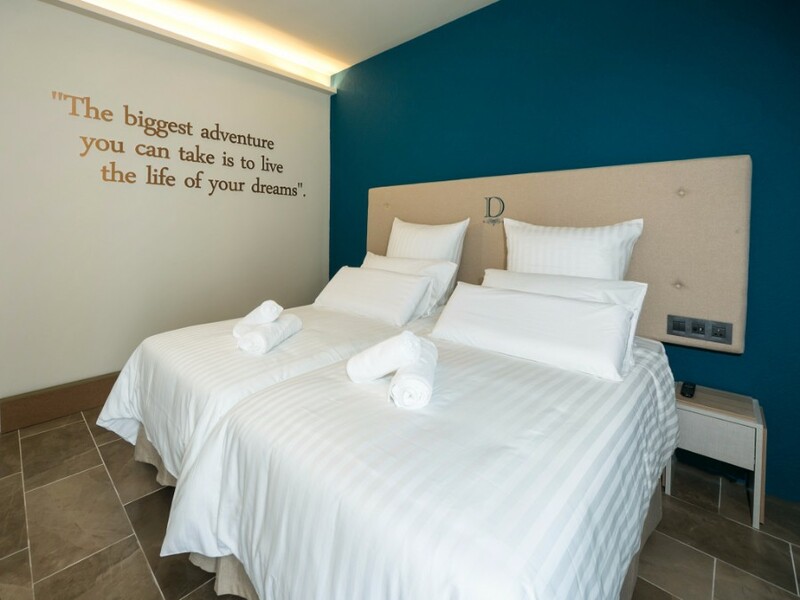 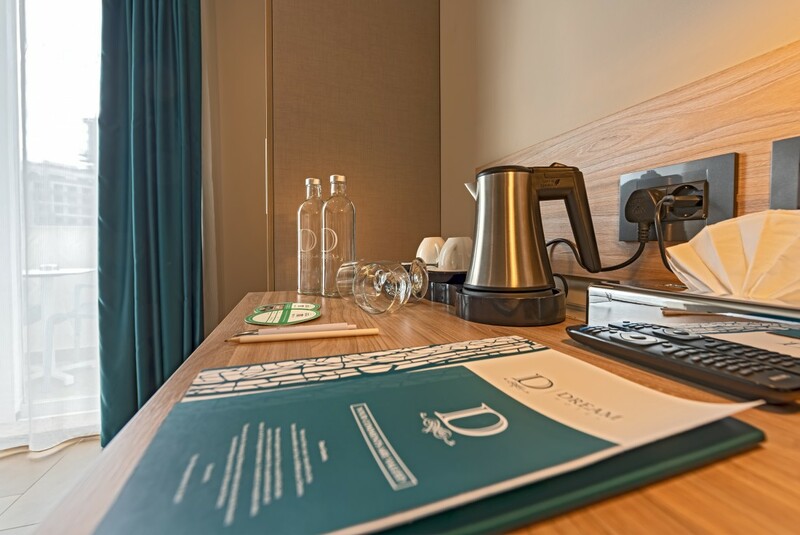 Our rooms are finished to high standards allowing you the comfort of various bed, pillow and bath types. 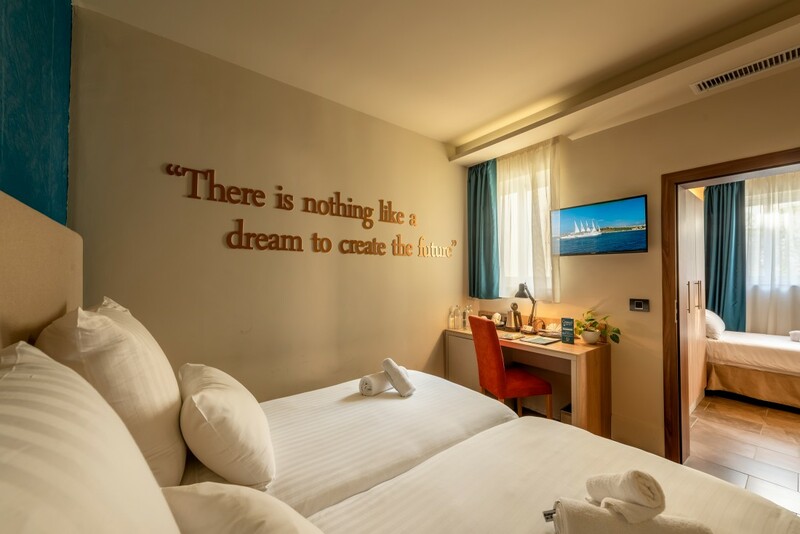 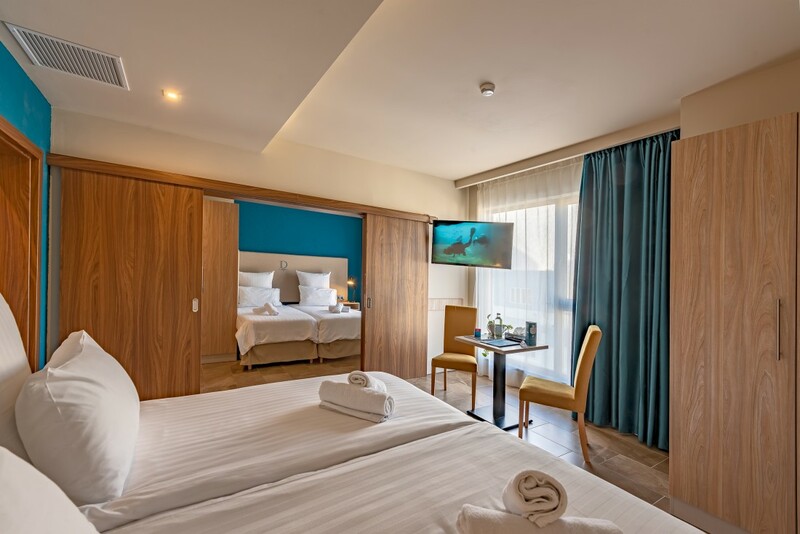 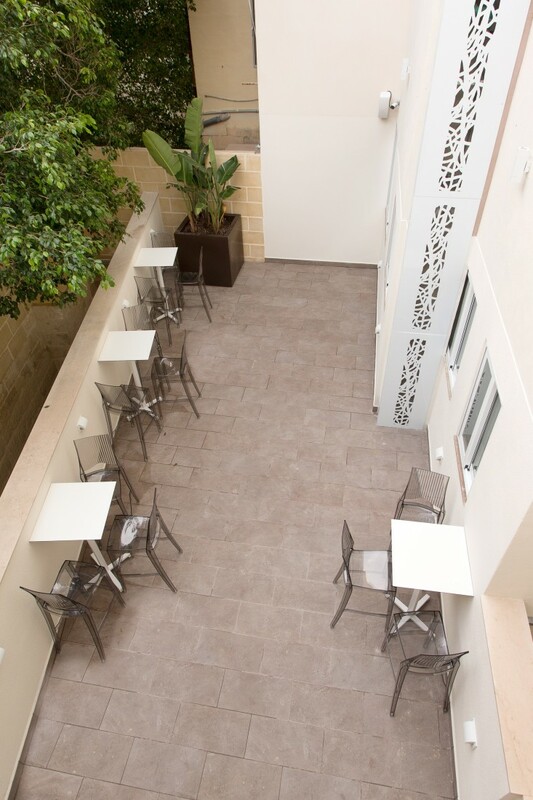 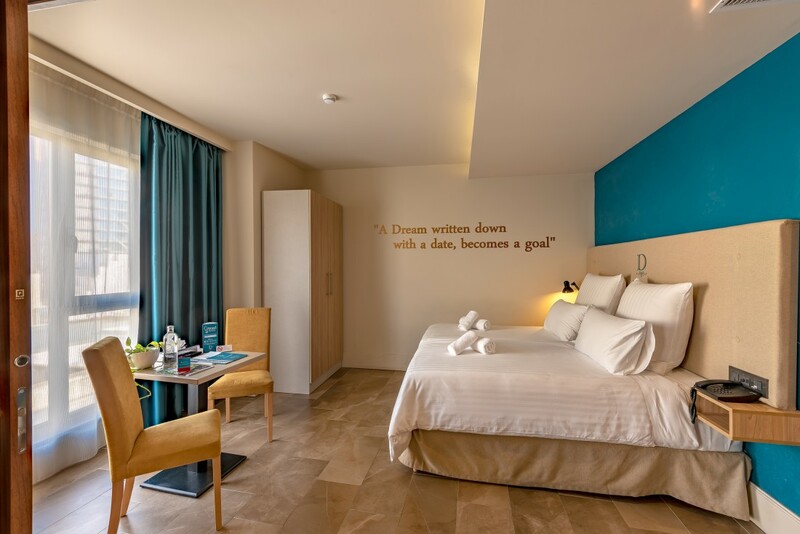 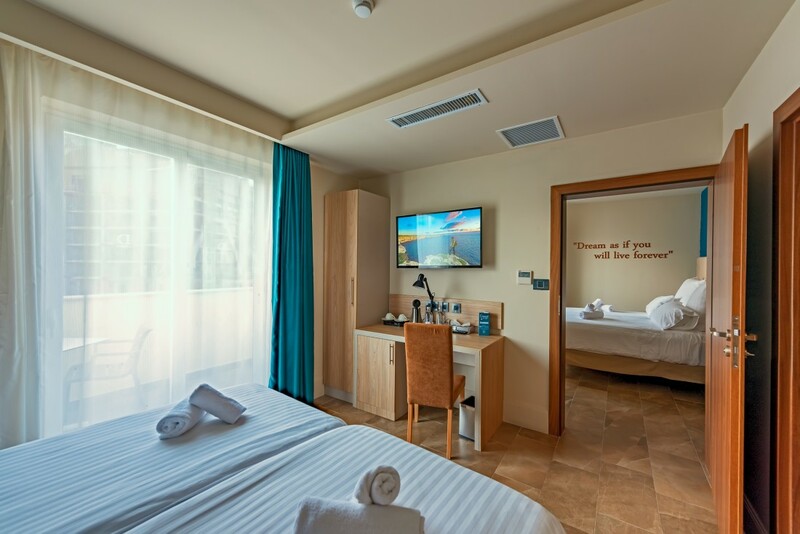 All rooms are spacious and enjoy plenty of natural Mediterranean sunlight. 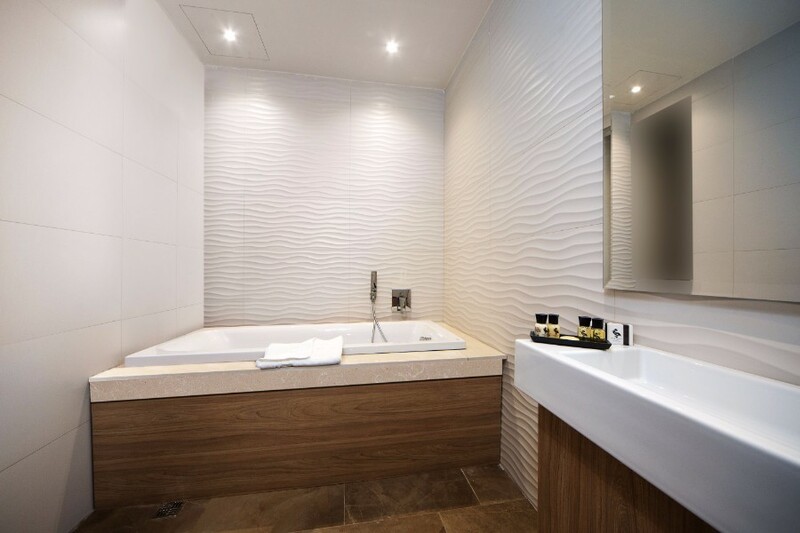 The location of light fixtures has been purposely chosen to create a calming and soothing ambience both for daytime and nighttime. 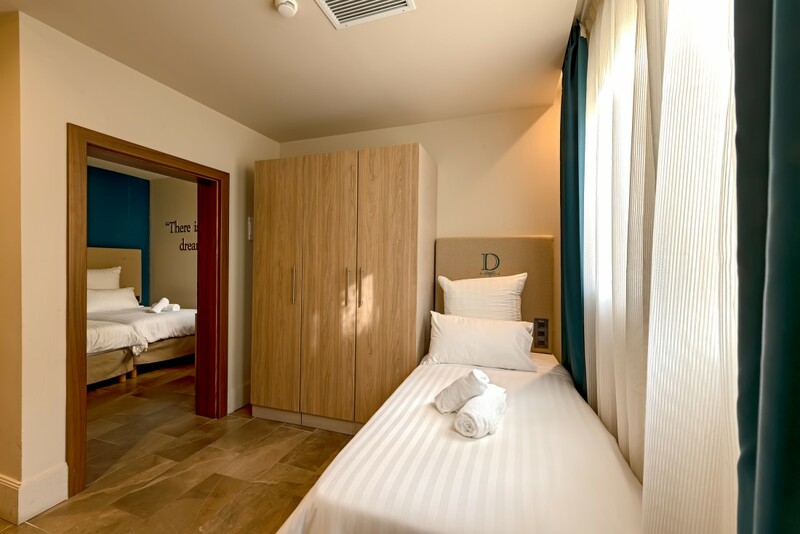 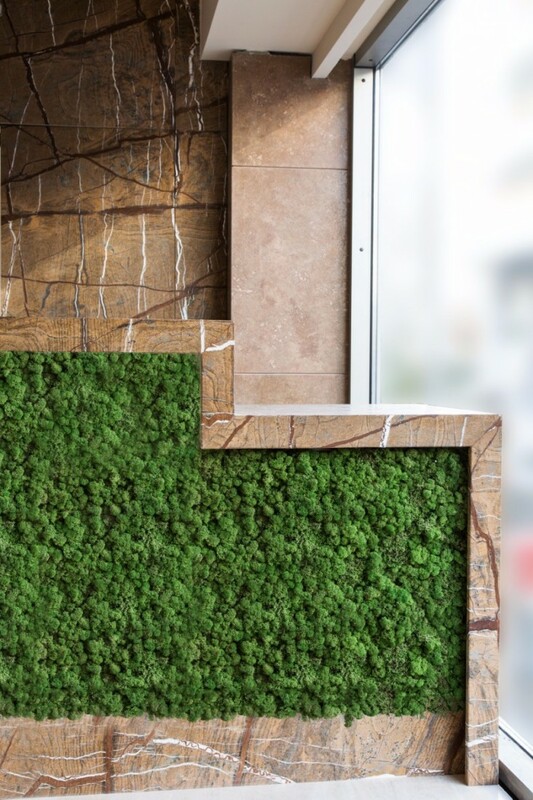 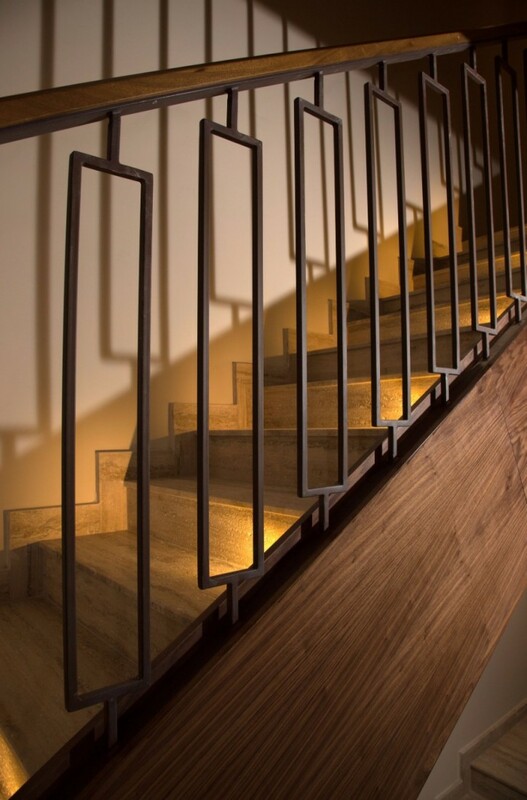 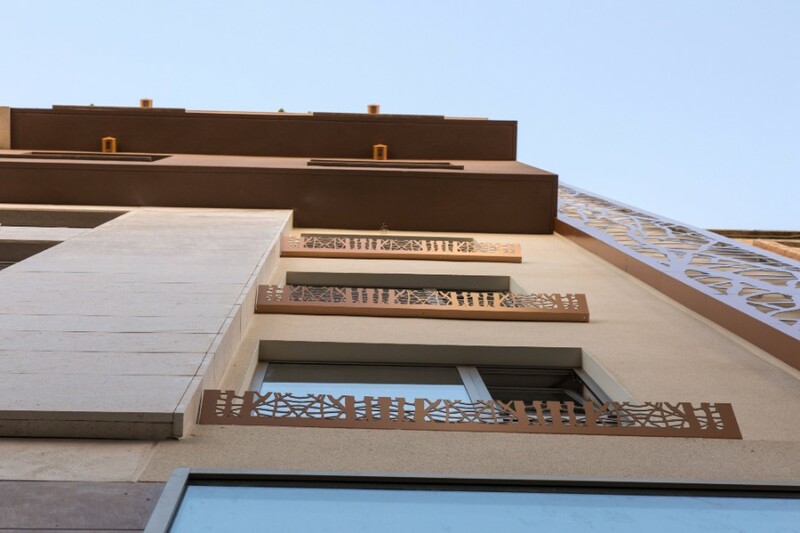 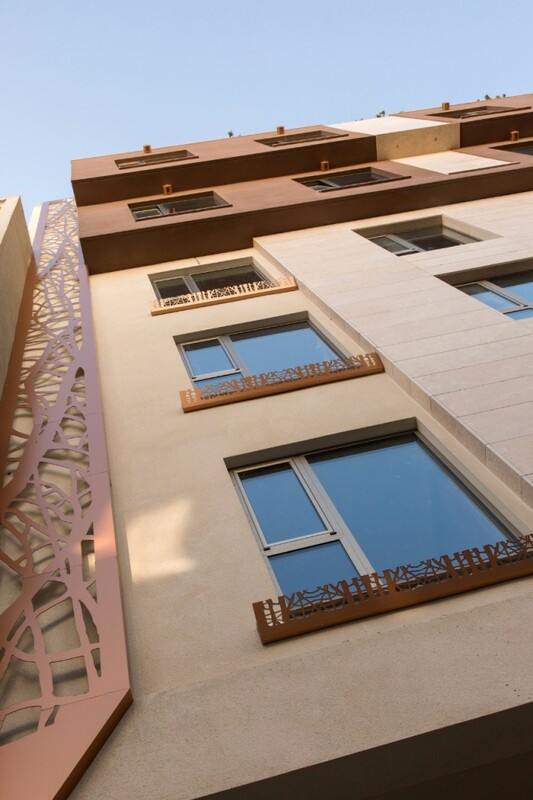 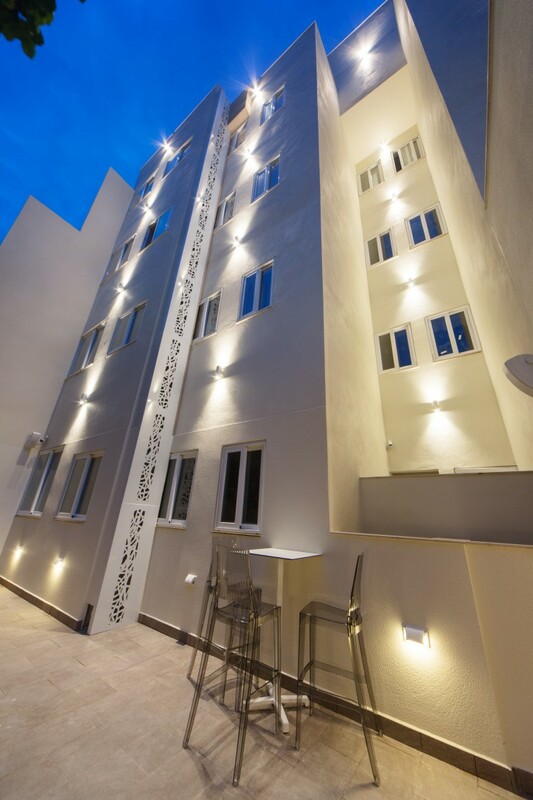 Enjoying 6 different types of rooms on each floor, our guests’ requirements may be met more efficiently. 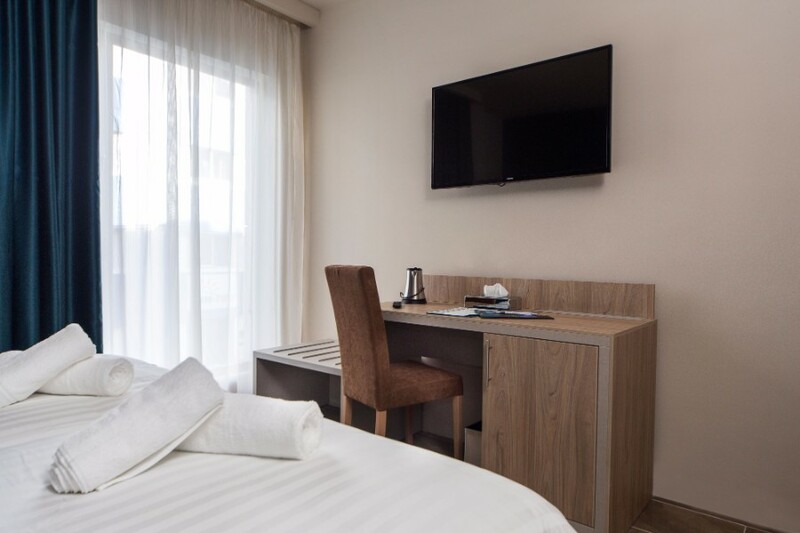 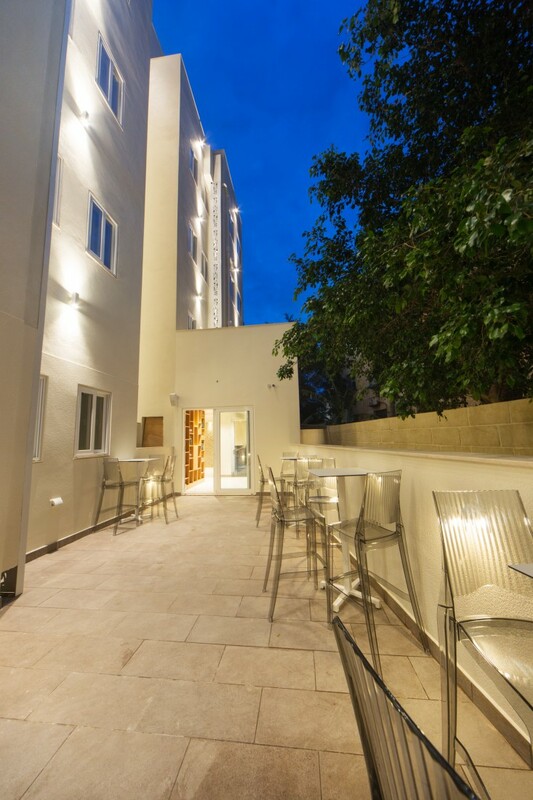 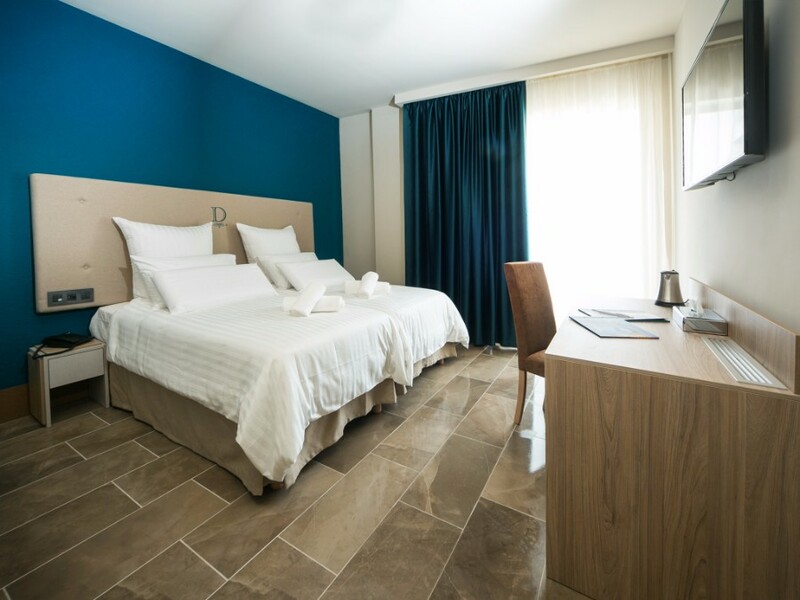 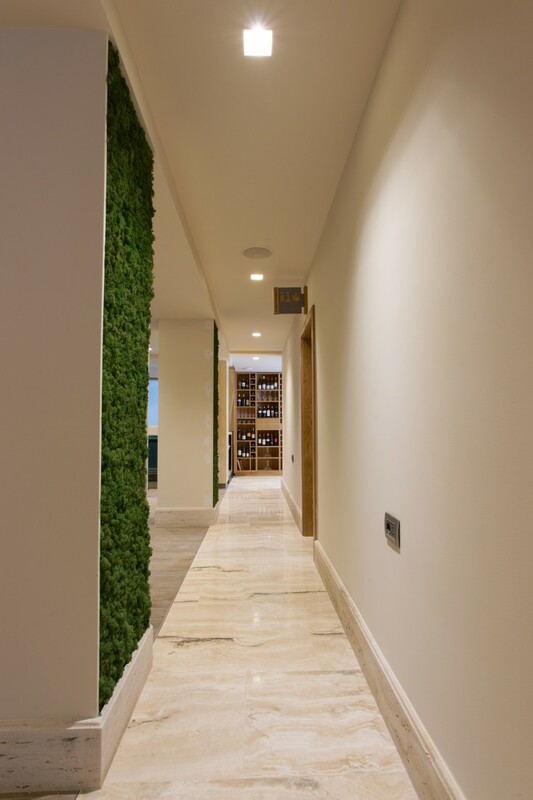 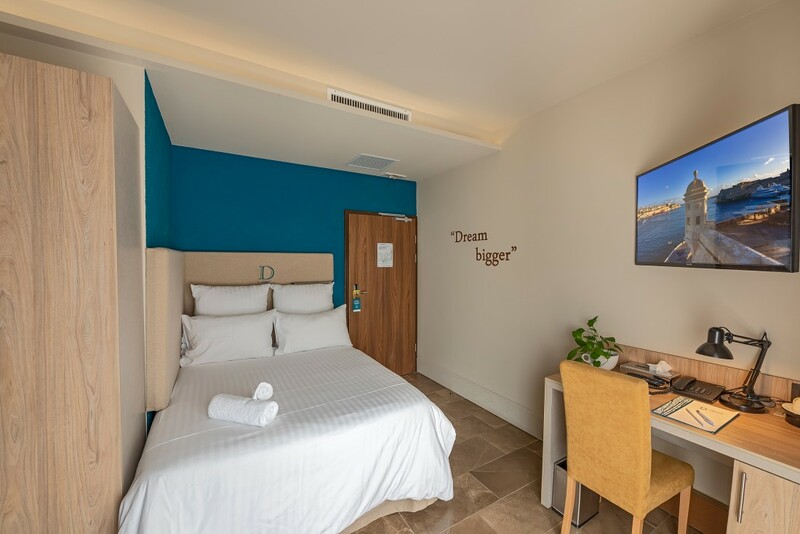 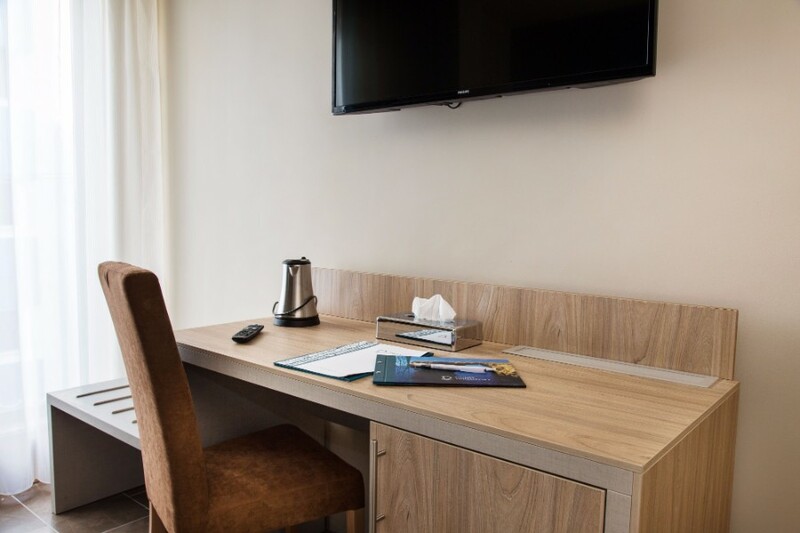 All accommodations are equipped with ample power sockets, free Wi-Fi, various comfortable bathroom amenities and different bed and pillow types to satisfy our clients’ expectations. 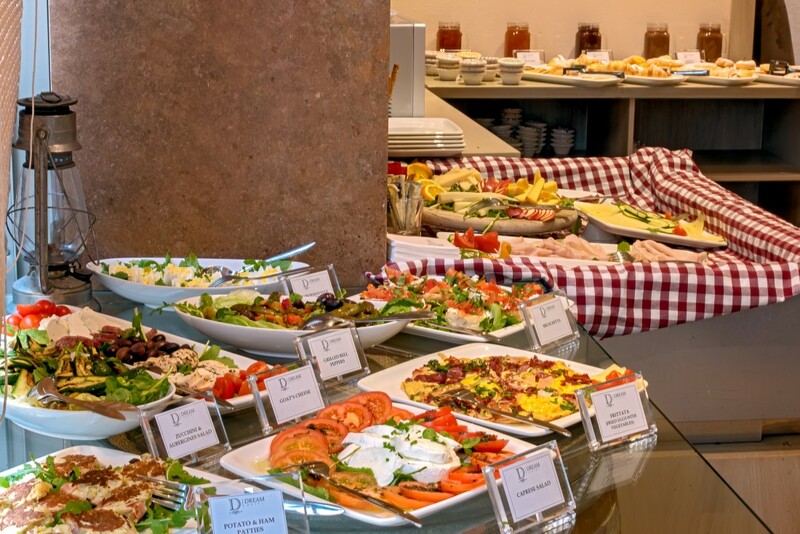 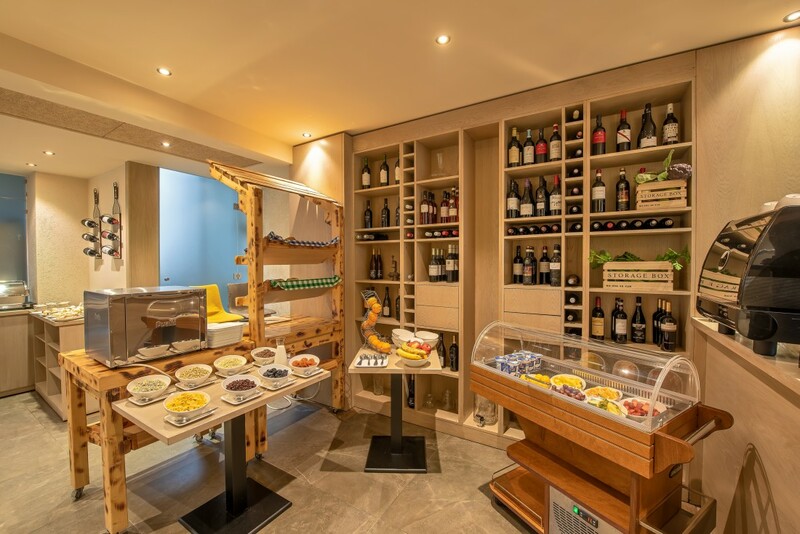 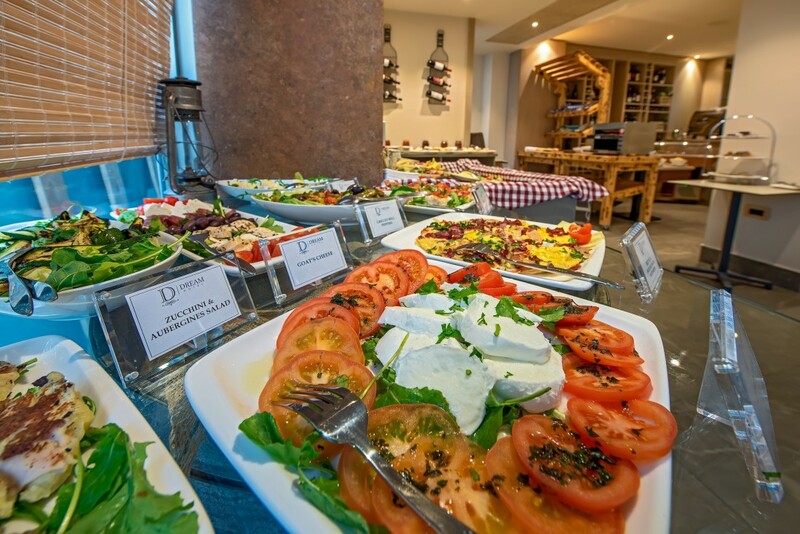 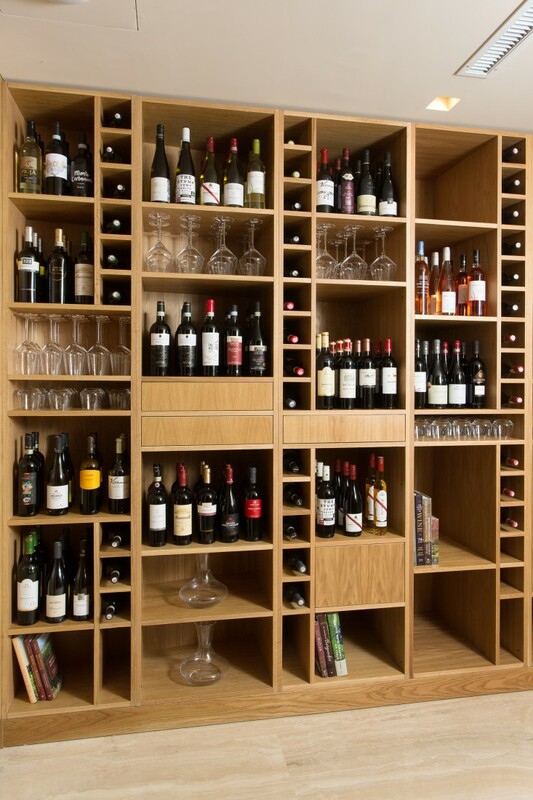 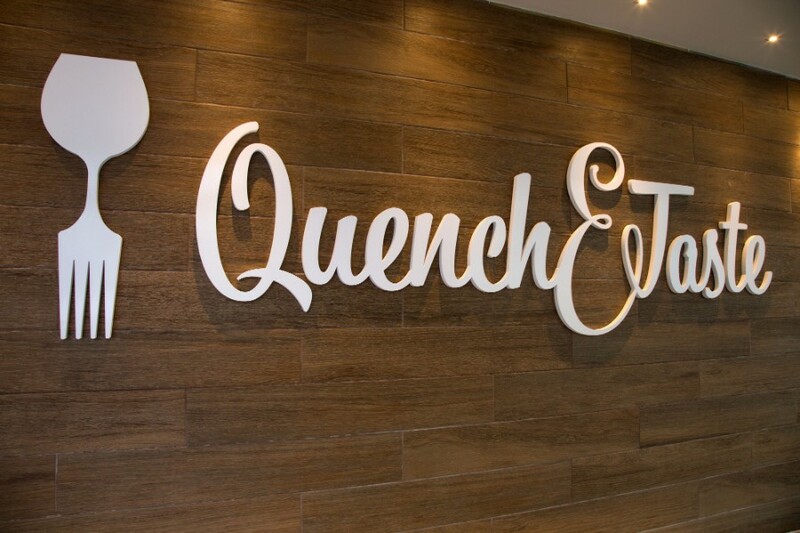 Quench & Taste Restaurant is open for breakfast with a wide choice of local and Mediterranean items on the buffet, including cooked options on request.